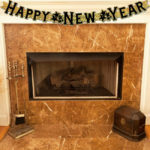 Looking for inspirations for classic fireplace mantel decorations? 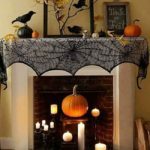 Whether an elegant symmetrical display or an informal and fun asymmetrical display, these five classical elements are ideal foundations for fireplace mantel arrangements. Plus, we’ll give you tips on how to put your own spin on these classic elements. 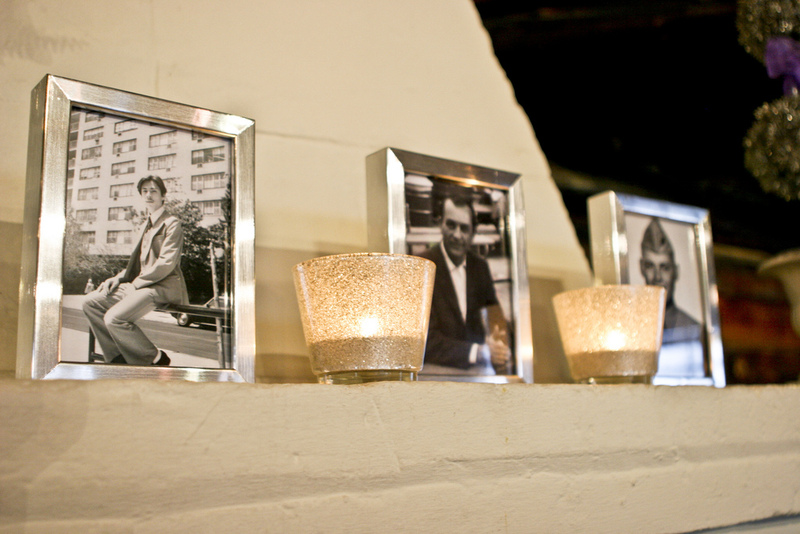 The mantel is the perfect place to display those family memories. Get your favorite digital photos printed and put them in nice frames. Go for larger prints so that you can see them easily from across the room. All black and white photos give a vintage theme. Make them into a coherent theme with matching or similar photo frames such as all black frames, silver frames, white frames, or cognac leather frames. 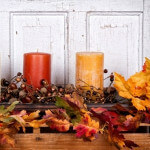 Scented, unscented, tall and thin, short and round, candles come in thousands of varieties. 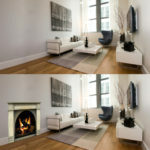 Stagger the heights on your mantel to give your decoration some depth. 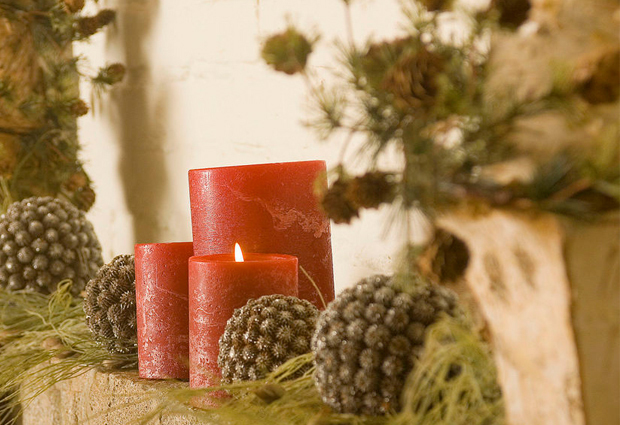 Votive candles mix well among other elements in a fireplace mantel display. Select candles in colors that contrast with the wall behind them to make them pop. Candles the same color as the wall tend to disappear. 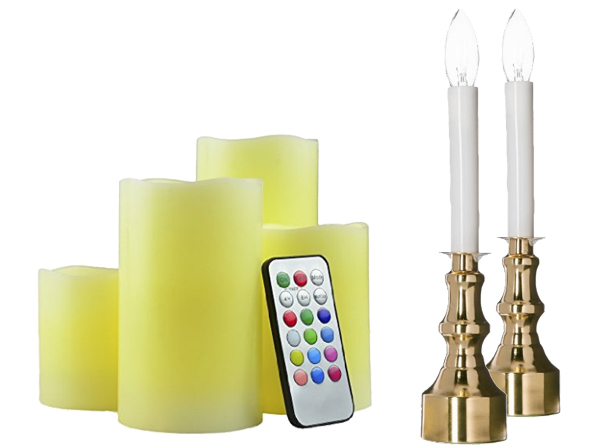 Be guided by the color scheme of the room when selecting candles. If you are using blue and green as your accent colors, go with blue and green candles in the same tones. Vary the heights of your candles and or candle holders. Non-flame candles are a safer bet. They are available in battery and plug-in versions. Longtime favorites for those on the coast, shells and coral give fireplace hearths a warm, summer feel. 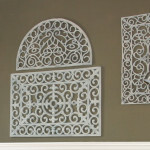 Bring home some treasures from your next beach vacation to display on your mantel. 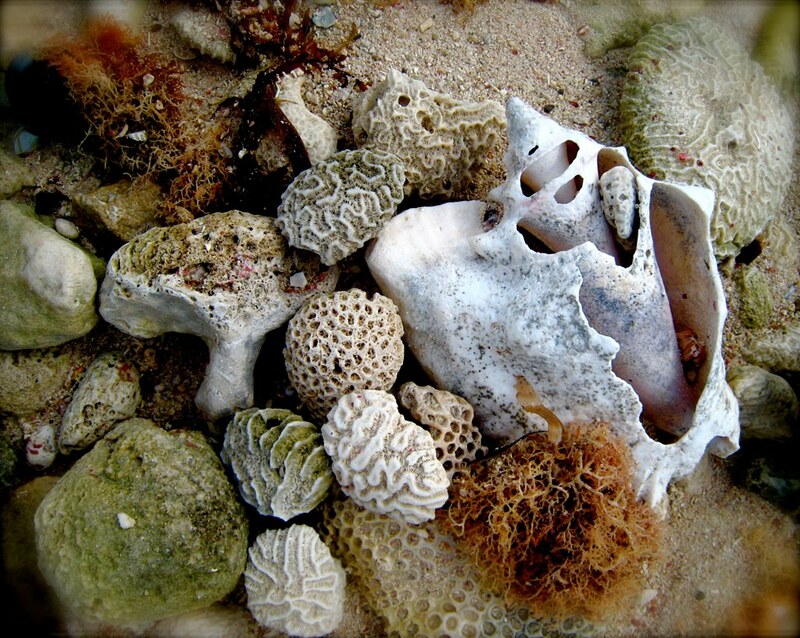 To provide height in your display, put shells or pieces of coral on candle holders of different heights or fill glass containers with shells and or sand. 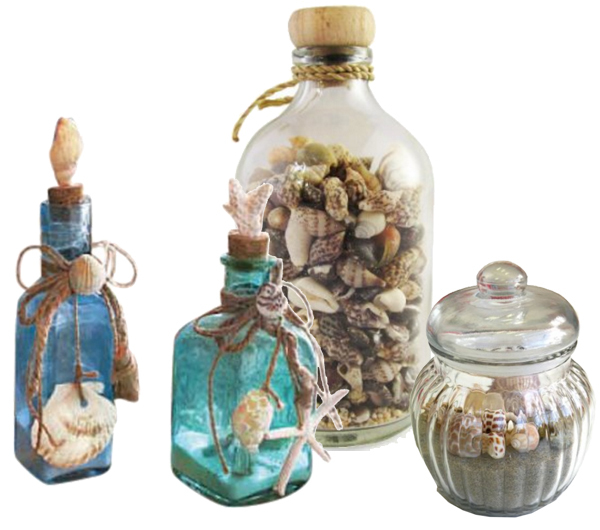 Fill apothecary jars and other glass containers with shells and or sand. If you don’t have real coral, faux coral works just as well. 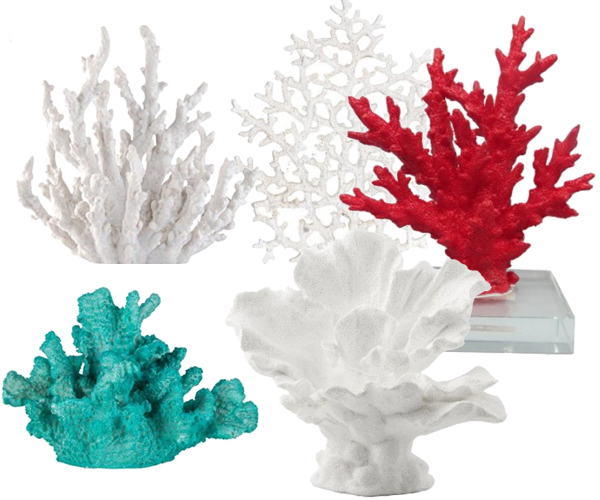 Live coral substitutes such as these coral sculptures have the advantage of being designed to sit upright on the mantel. 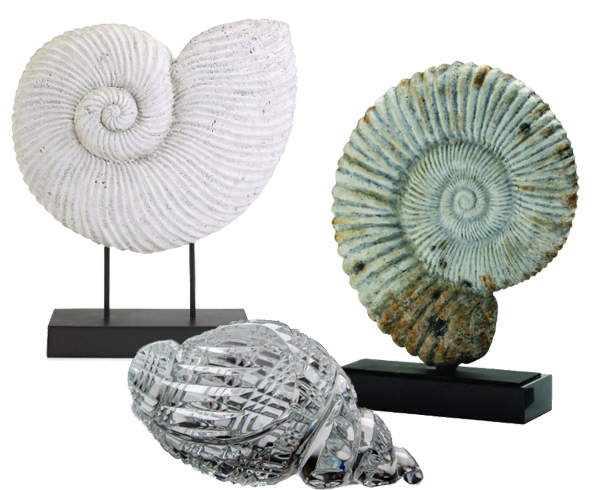 If you need large shells, plaster, marble and even crystal ones are dramatic. Not only is fruit delicious and healthy, it’s also colorful! Experiment with apples, oranges, pomegranate, pears, cranberries, etc. Pick fruits you like to eat so you’ll be tempted to grab a bite as you walk past. 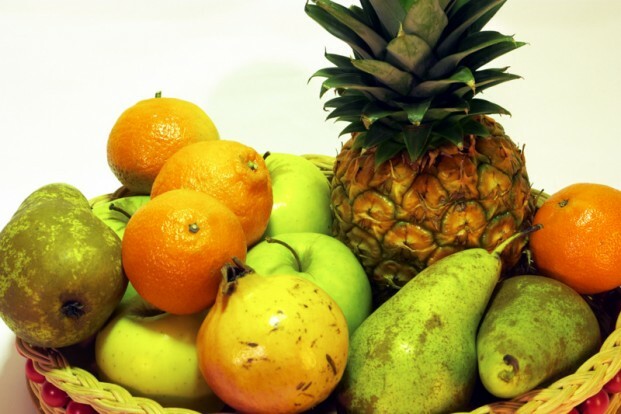 Stick with in-season fruit that does not need refrigerated. Wash the fruit before placing it on the mantel so it is ready to eat. Summer in-season fruits include apricots, peaches, cherries and plums. Fall fruits include almonds, apples, Asian pears, dates, kiwi and pomegranates. Winter’s in-season fruits include avocados, grapefruit, lemons, limes and oranges. Spring fruits include cherries, kumquats, mandarines, pineapples and rhubarb. 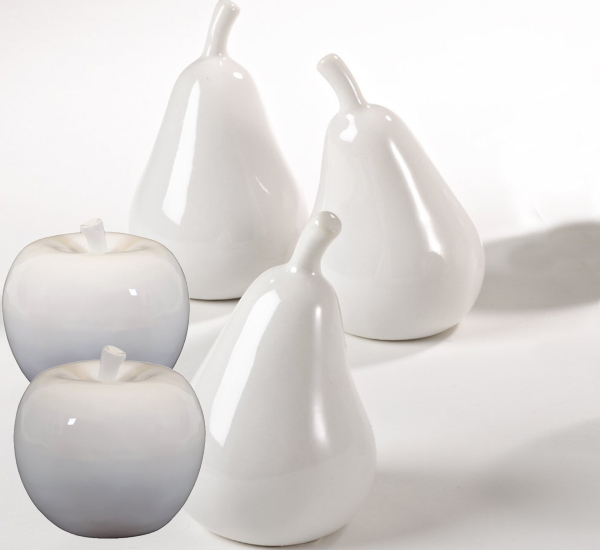 If you need a more formal and classic look, white ceramic fruit including apples and pears work well. White ceramic fruit including apples and pears are a more formal look than fresh fruit. 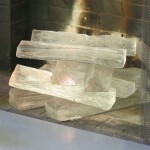 Another favorite for coastal-themed fireplaces. A long, gnarled piece of driftwood combined with some seashells and ivory candles will make for a light, beachy fireplace mantel. 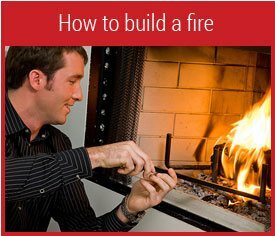 In the summer, you can also fill the firebox (where the fire wood be in winter) with driftwood. 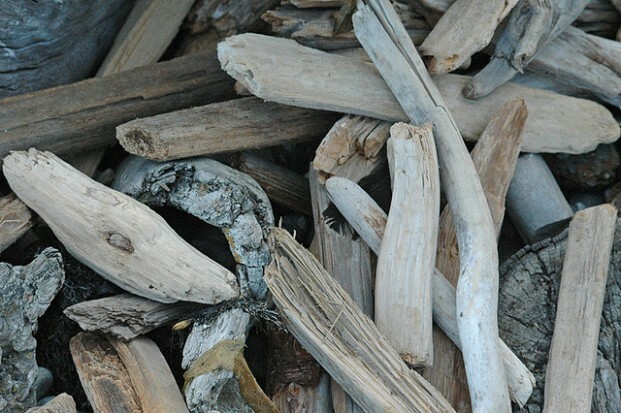 If you can’t pick up your own pieces of driftwood on the beach, you can purchase suitable driftwood branches. Nice idea about using fruit but i personally would use the seashells/corals.